Another real favourite with the fashion bloggers. 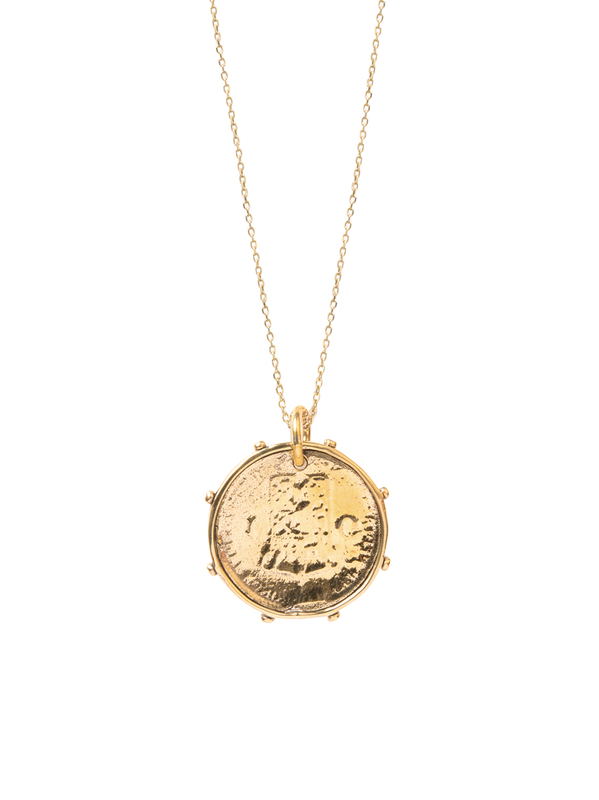 This brass Dutch coin has been cast from an original and has detailing on both sides. It measures 3cm in length and hangs on a gold trace chain which has three different length options within the same chain. So you can wear it at 40cm, 45cm or 50cm.